From January 11th-13th, I had the privilege of attending the 2019 Residence Life Conference. This event was gathering of student staff from various post-secondary institutions who work in Residence Life as Community Assistants (like me), Dons, Council Executives, and more. At the conference, we attended a variety of presentations. My favourite, by far, was about interior design and creating spaces to promote student well-being and overall happiness. The presentation really got me thinking about creating spaces that create feelings of comfort, happiness, and feeling at home. Even before arrived at Nipissing for my first year, I knew exactly how I wanted to decorate my room: fairy lights, a million photos of my friends, family and pets, and a bright and colourful colour scheme (I still have the Pinterest board showcasing the thousands of ways I could go about decorating my space)! 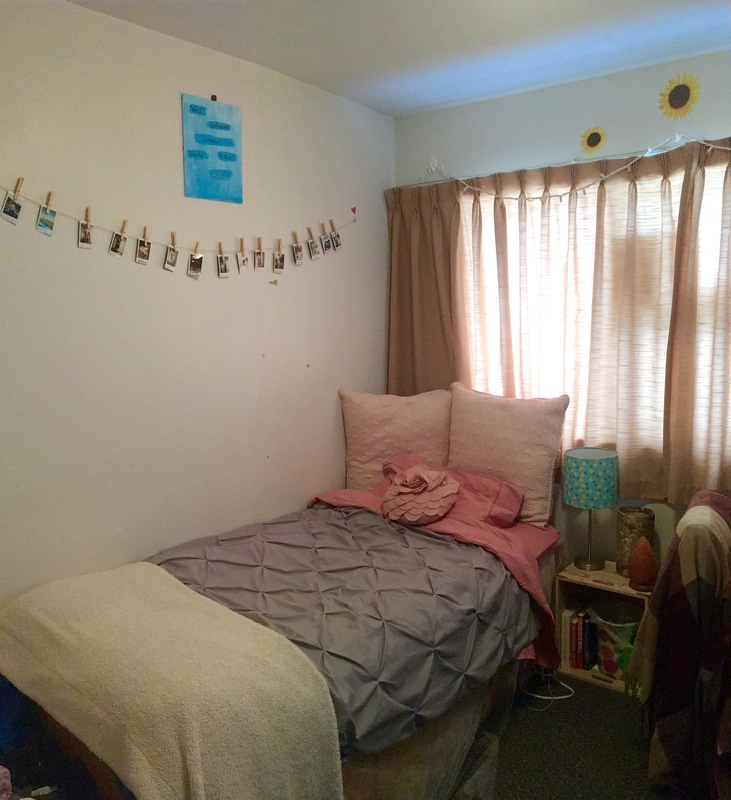 For me, one of the most exciting things about arriving at Chancellor’s House Residence Complex for my first year was seeing the blank canvas that was my residence room; exactly like the picture below. Your ‘NU Home’ is a space filled with opportunities to express yourself and showcase who you are! It’s your own home-away-from-home where you can find comfort, happiness, and a great place to study and hangout with friends! Whether you’re heading into your first year, or you’re just thinking of redecorating your room, take some time to think about what makes you happy. What colours help you express happiness? Darker schemes? Lighter ones? Specific colours like reds, blues or golds? In addition to colour schemes, is there anything else that brings you happiness? For me, it’s bright spaces, fairy lights and soft lighting as well as, sunflowers, pineapples, elements of nature, and polaroids of my friends. This year, I incorporated my favourite colour scheme (pink, grey, and teal) and all of the things I listed above into making my room my own personal paradise. It’s simple, but it has everything I like in it and that’s the making of a great room. What do you love? What makes you happy? How do you express yourself? 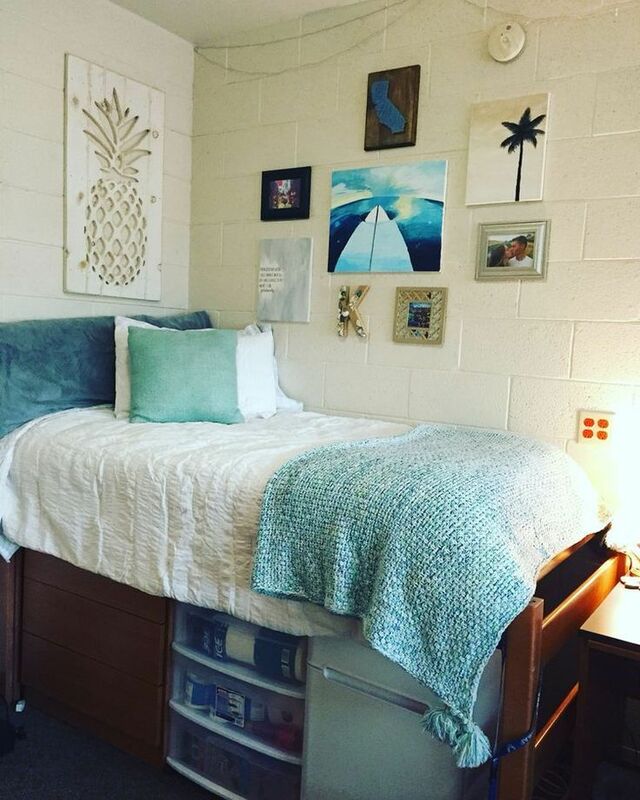 If you incorporate those things into your residence room – your NU Home – you’re already on your way to a great year in residence.